GETTING READY: The couples are put through their paces in preparation for their Cornwall-based line dance. Compering is our man from Romsey. Picture by Matthew Bell. FLEET FOOTED: I am with my dancing partner for the evening, Lenka, at St Luke’s Community Hall. Most routines were worked out but things went a bit awry by the end of the evening. STEPPING OUT: Some of our intrepid country dancers follow their feet and the caller. Picture by Matthew Bell. 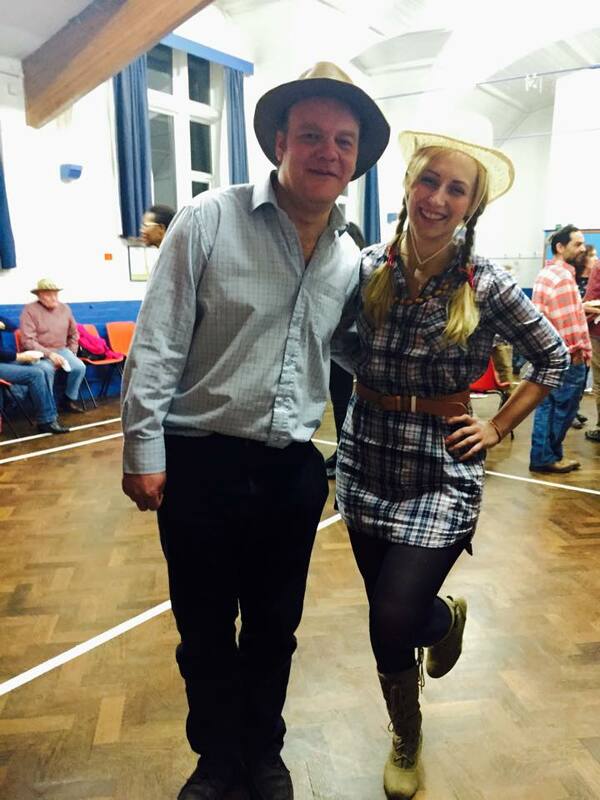 A CHURCH hosted another community event in Winton in February but this time it was barn dancing. Previously I reported on an evening of food, culture and song at the Seventh Day Adventist Church in Alma Road. This time it was at the St Luke’s community hall belonging to the church. 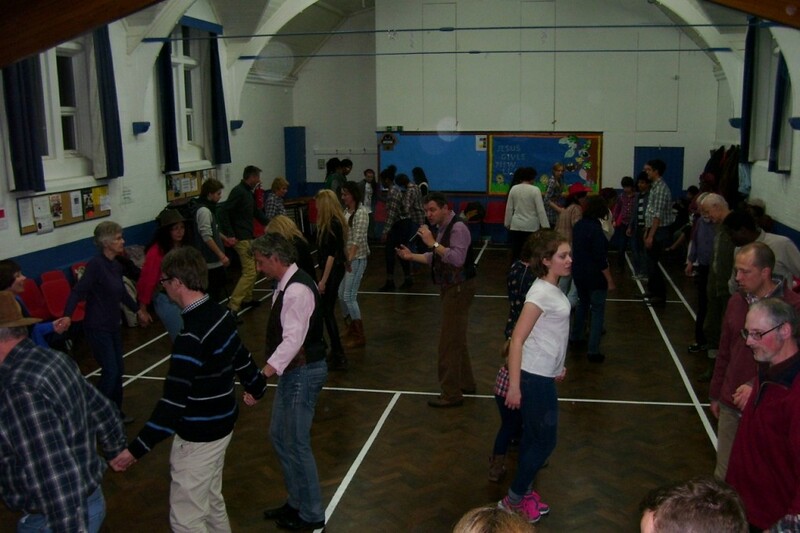 A barn dance is any kind of dance involving traditional or folk music. Sometimes you will find it in a barn but other times it will usually be in a public building like the one here. One of the few occasions I participated in one in a genuine barn, it was at a Young Farmer’s one back in the 1990s and it was a toga-themed evening in rural Essex. Barn dances are normally family or community-themed events and this one was no different. They are usually for folks who are not participants on Strictly Come Dancing but can grasp the instructions of the simple terms like a right hand star and eight steps forward or backward. 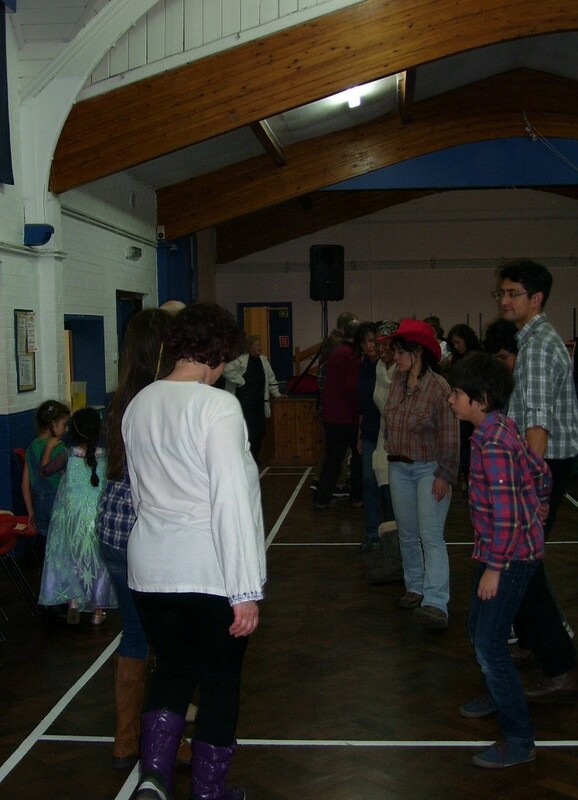 It can also feature square dancing; Country and Western dancing; line dancing; .Contra dancing and English country dance. The caller who leads the couples through the steps didn’t want to have much attention drawn to his part-time hobby but did say that he came from Romsey, near Southampton and this was the furthest he had come to provide the entertainment. 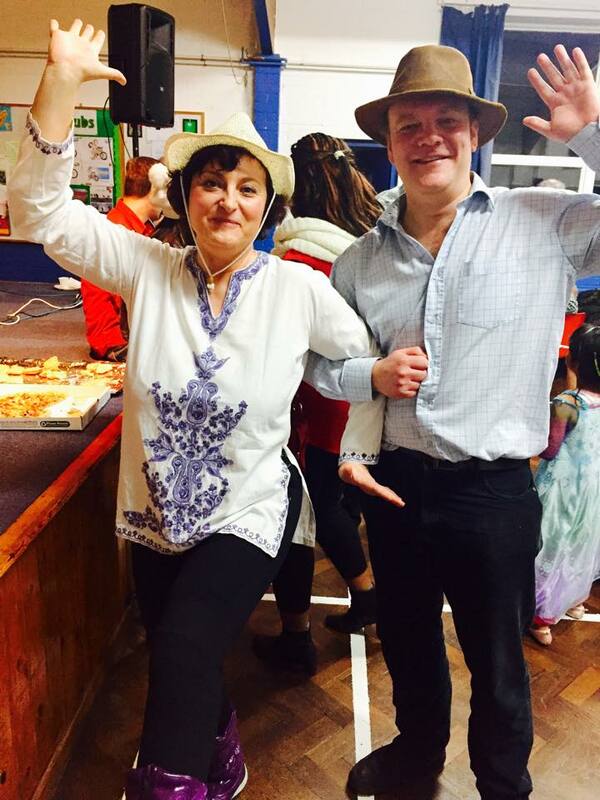 Many of the folks who attended the cultural evening back in October last year were here again and there was again a real sense of community, and once again it was interesting to see a distinct lack of English people attending such an event. We had folks from the Czech Republic, Brazil. Slovakia, South Africa, and Hungary – I’m sure there are others who were there I have forgotten. Amongst those familiar faces were Lenka and Betka who featured in my previous article. I think most of us got the hand of a lot of the dances but occasionally everything ended up in two left feet. I think my dancing partner got the hang of it quickly but things sometimes went a bit pear-shaped when one of the couples missed a piece of the dance jigsaw and eight people suddenly didn’t fit into six or seven. Following this, I was persuaded to go into Bournemouth to “wiggle it, just a little bit’ at Vodka Revs, and reversed back the years. The problem was some of the stuff put on the DJ was quite frankly trite but it had been 1980s and early 1990s stuff, I think I would have found it groovy. In conclusion please remember reading the following words. Times like this are precious and should be cherished at all times. With all the instability going on across the world, we need to find our sense of community and through that we can enjoy peace, hope and love and it can bring huge changes to a society in times of hardship for the better.